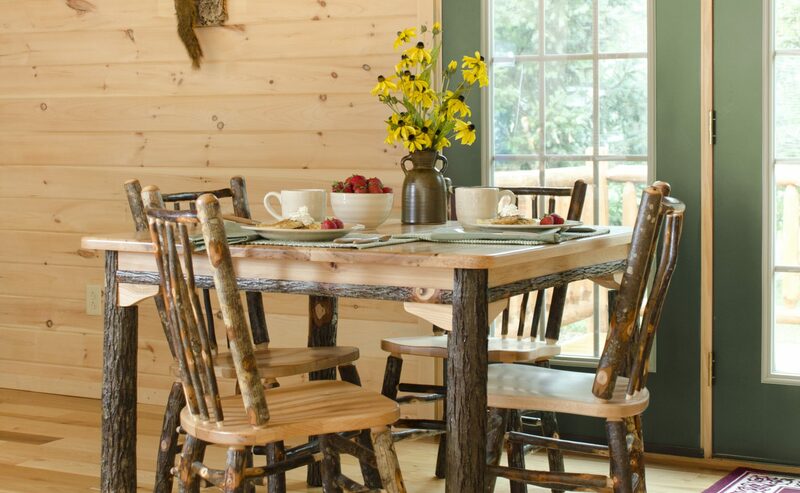 Your dining room is where friends and family gather throughout the day. 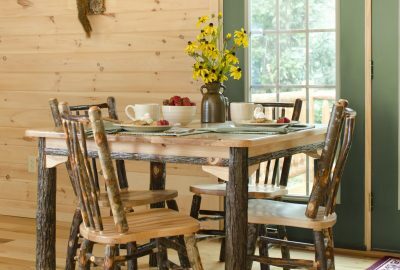 In a vacation cabin or a summer getaway spot, mealtimes are when people share their experiences and create lasting memories. 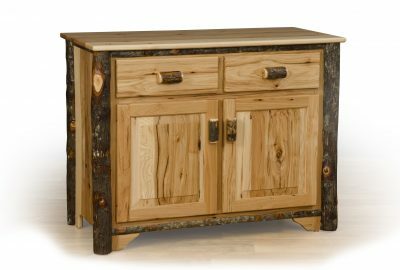 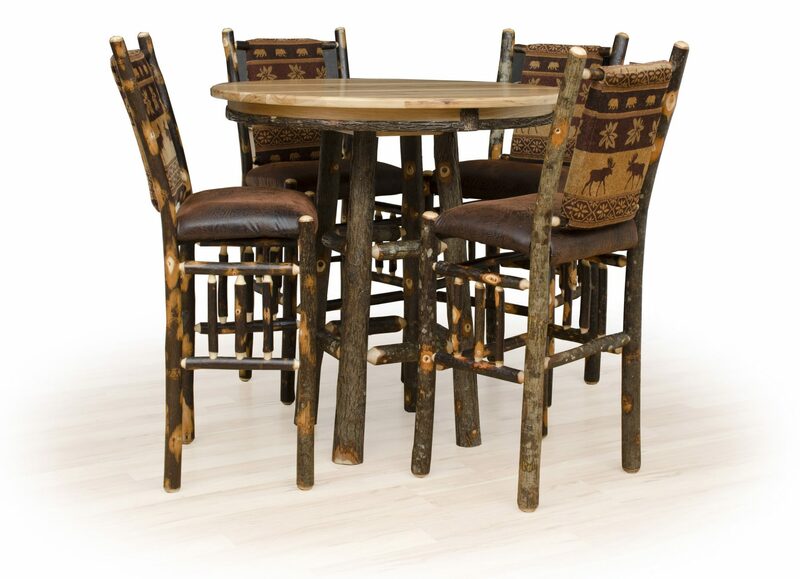 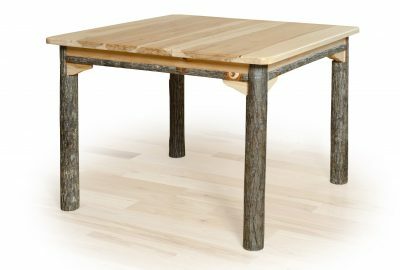 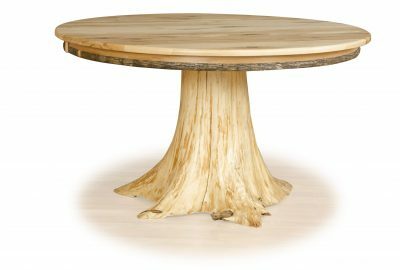 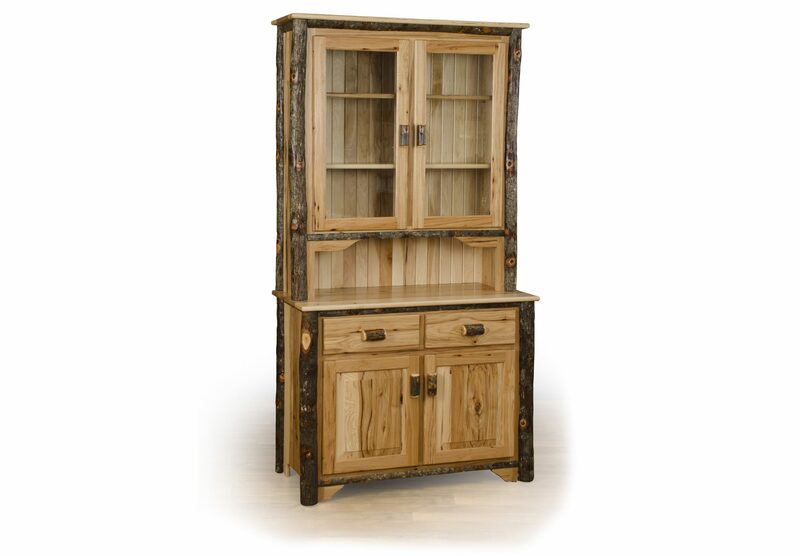  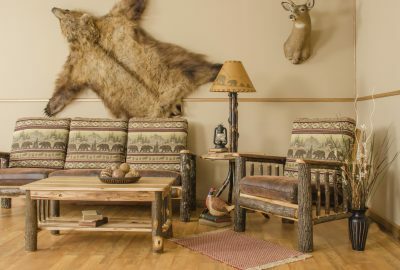 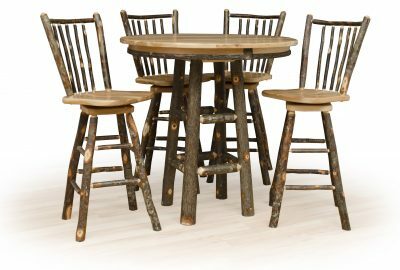 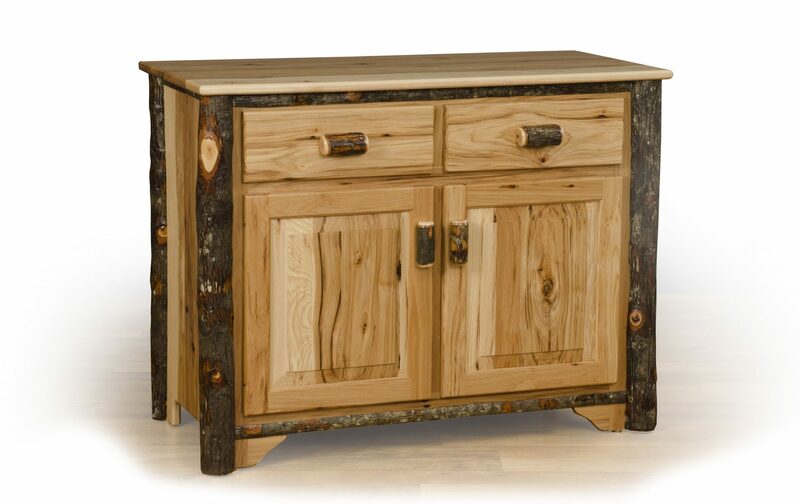 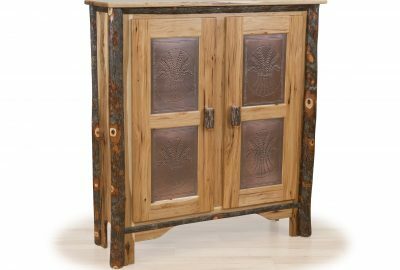 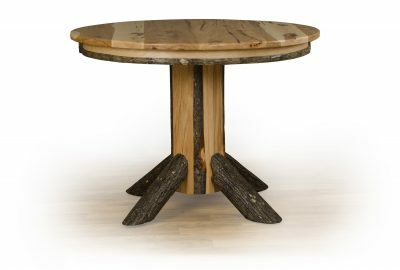 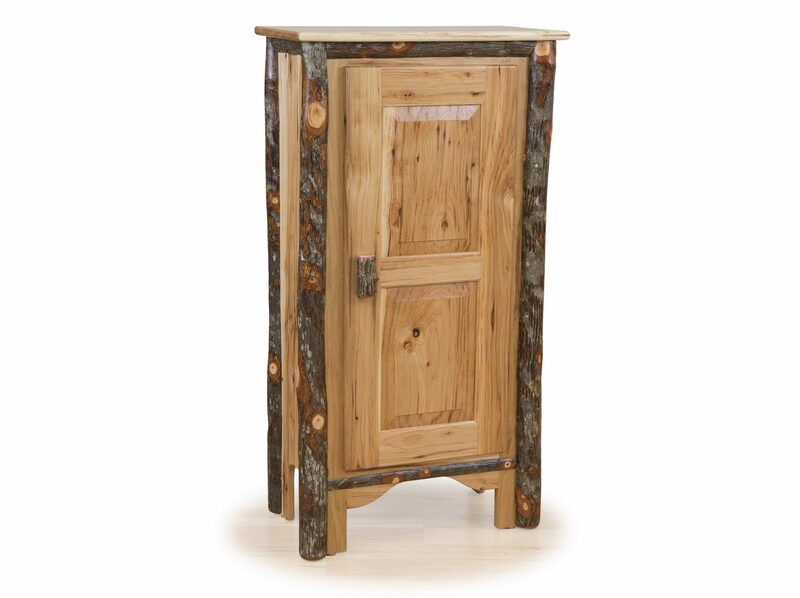 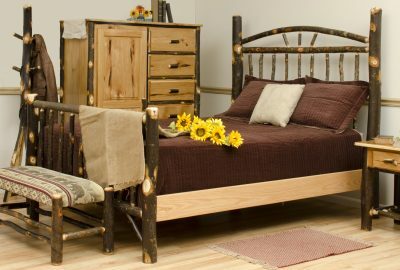 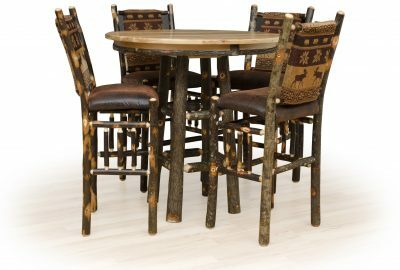 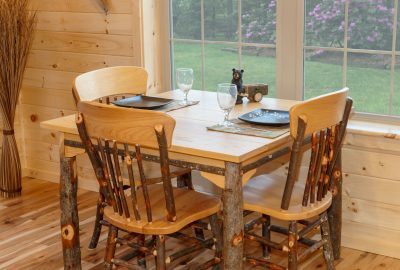 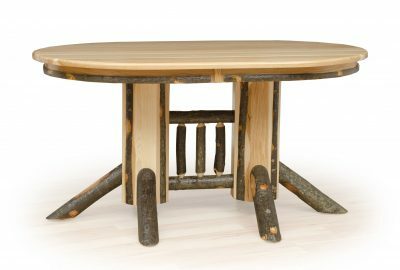 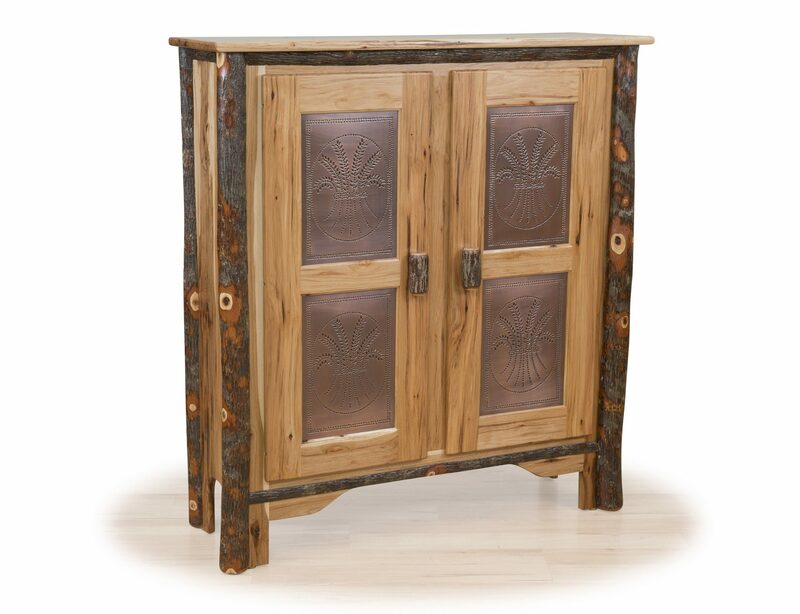 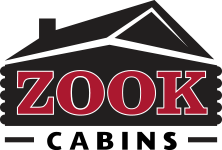 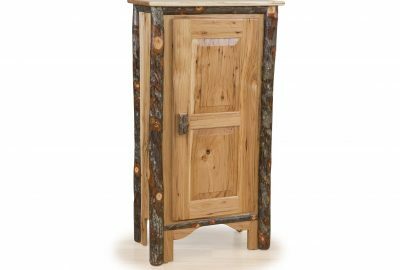 With the right log cabin rustic dining furniture made from solid natural hickory, your dining room can be an inviting place for your loved ones. 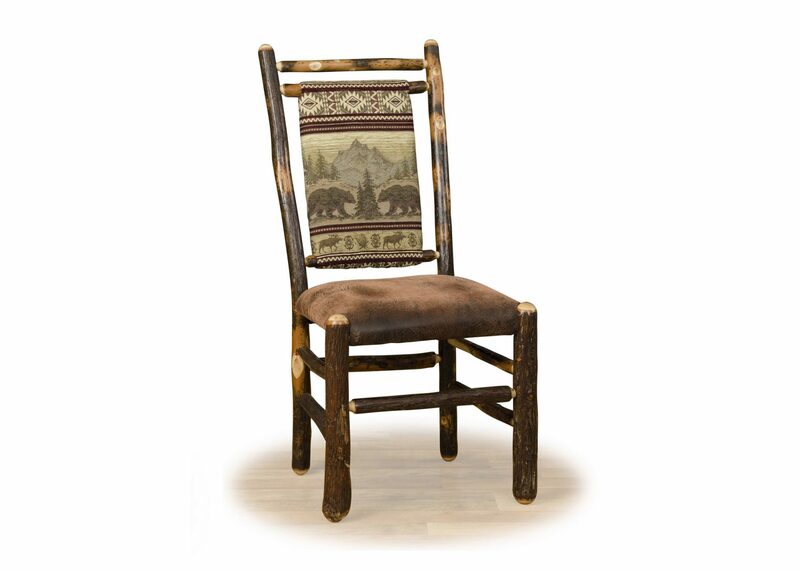 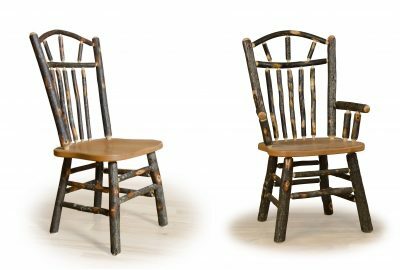 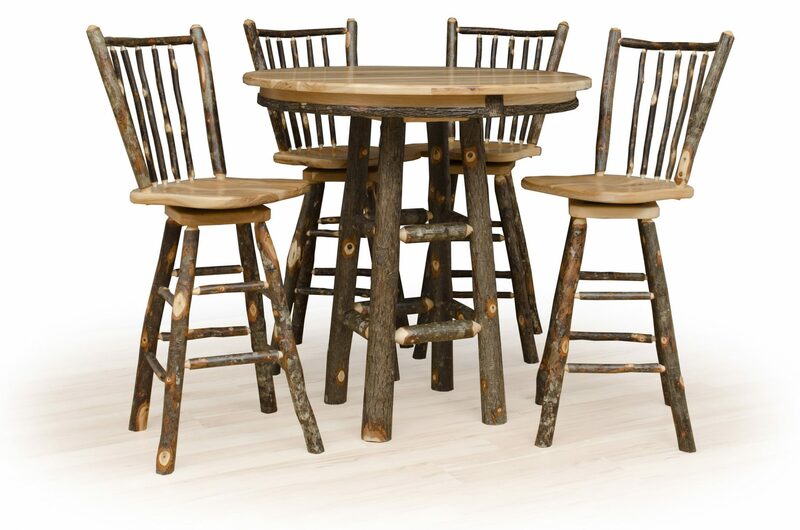 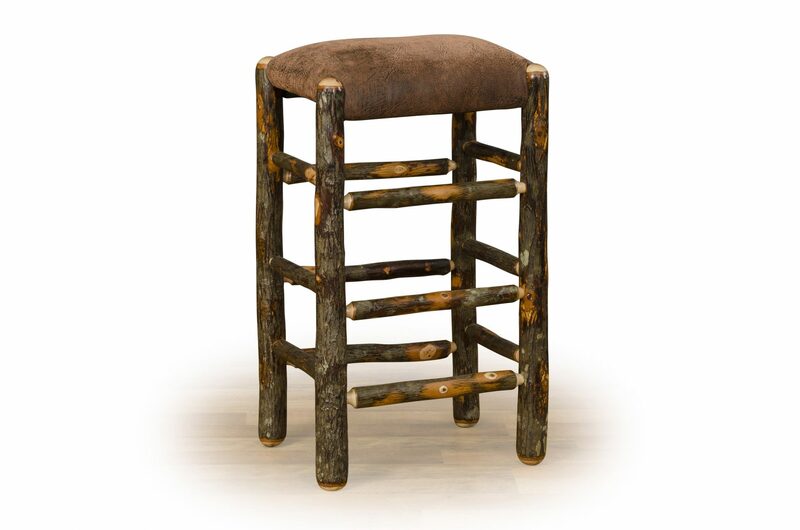 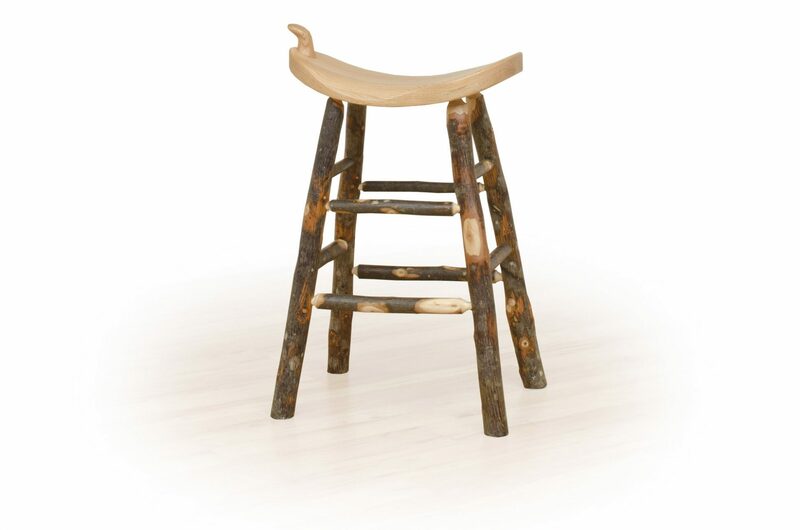 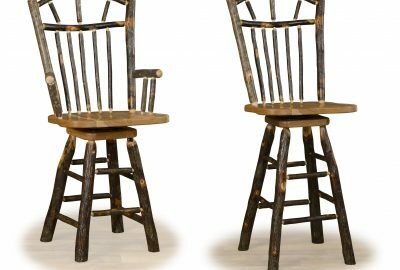 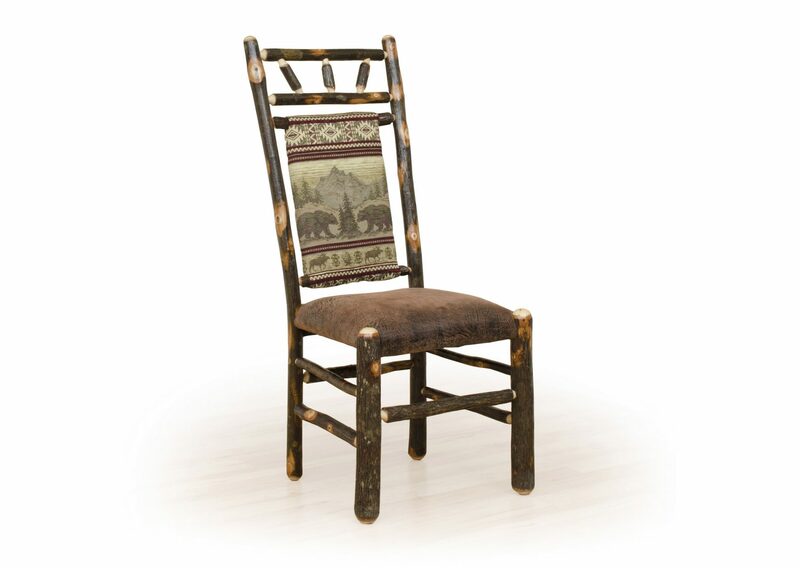 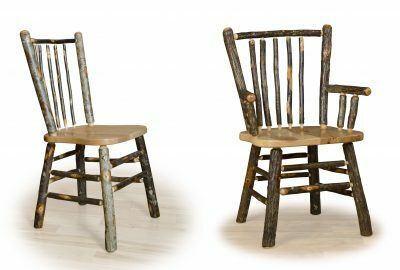 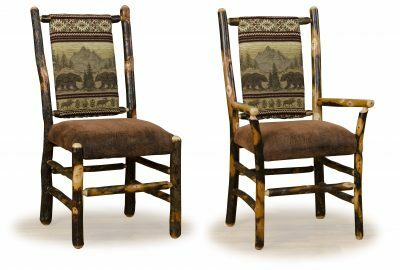 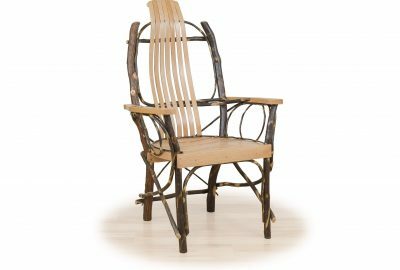 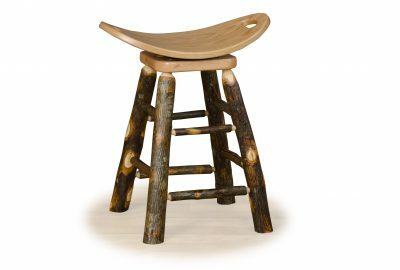 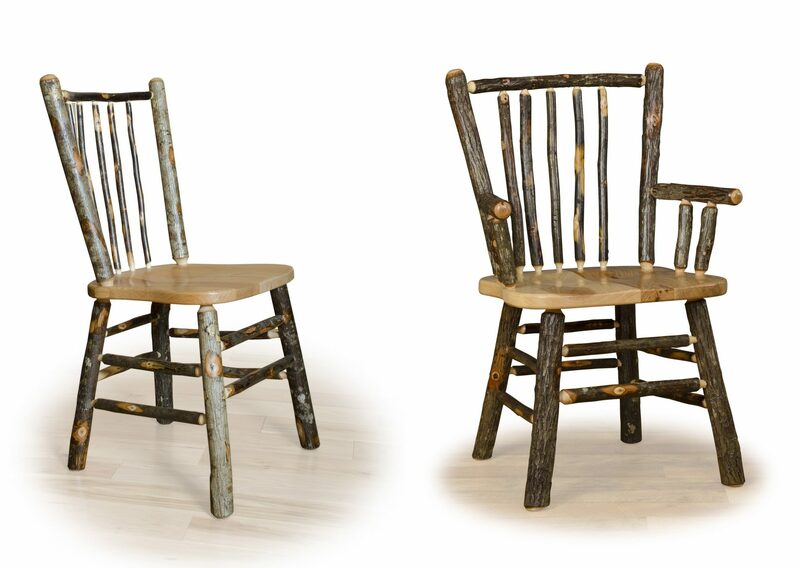 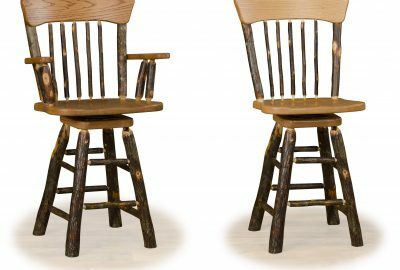 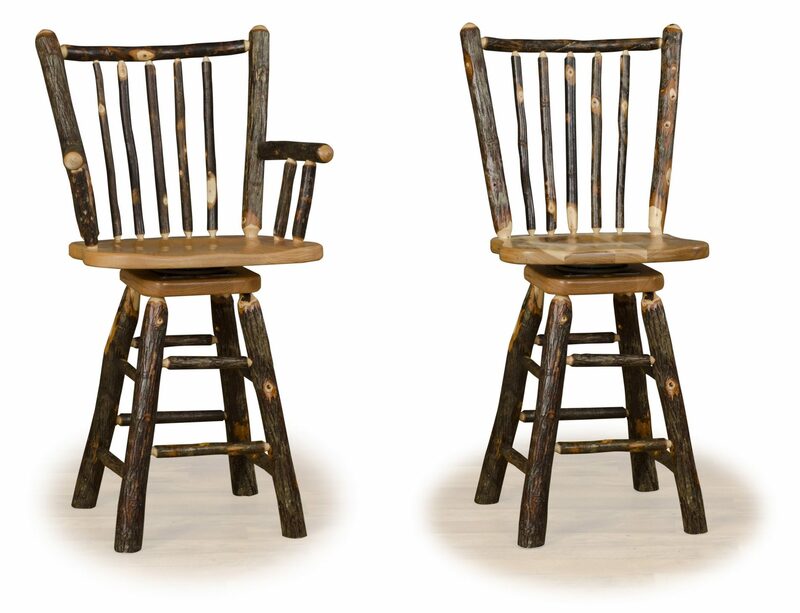 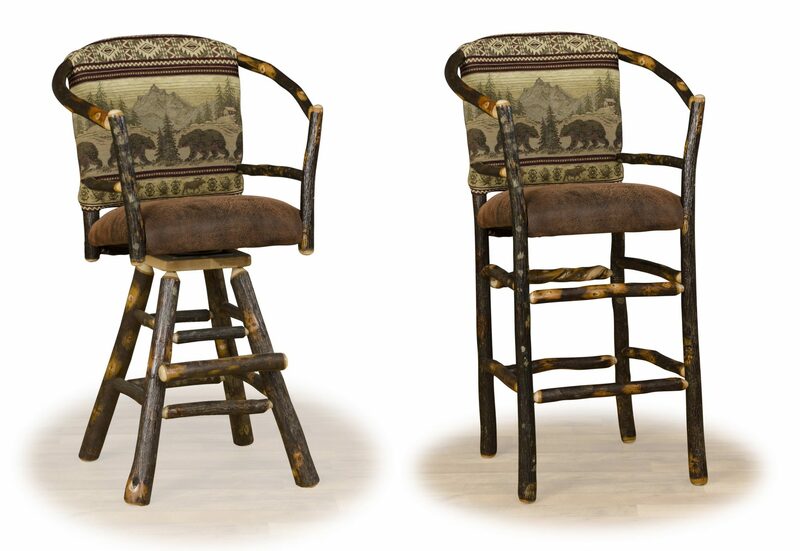 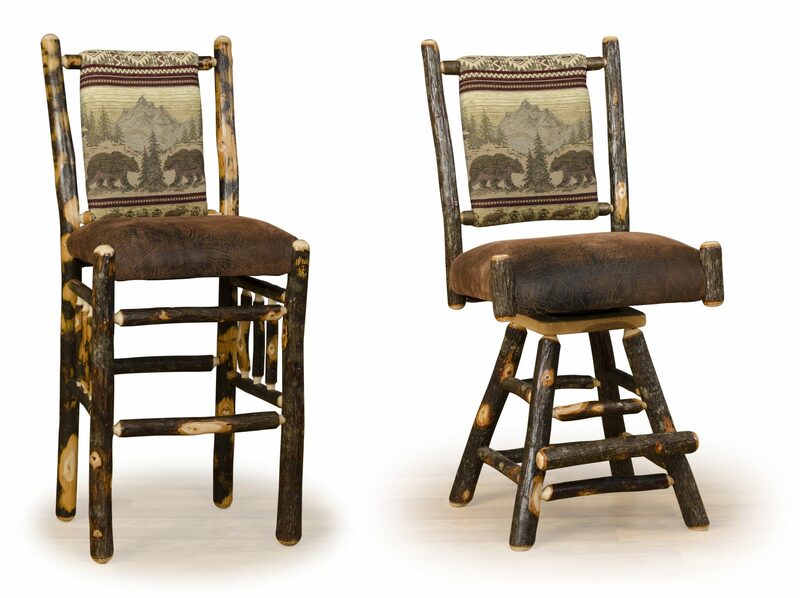 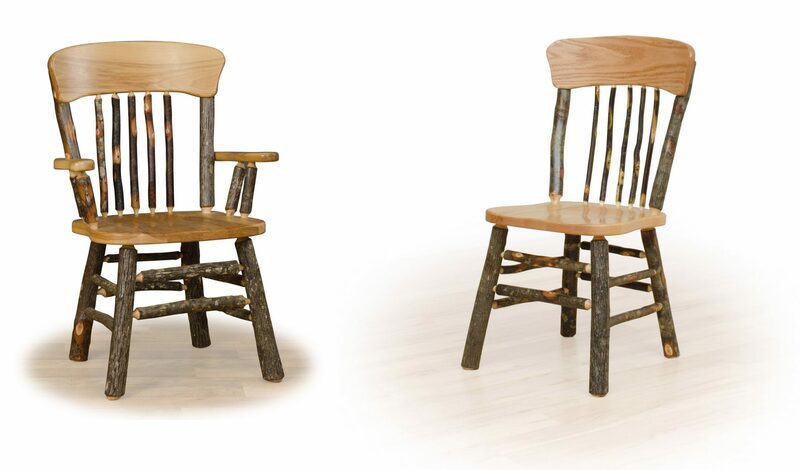 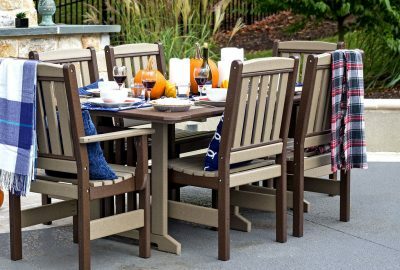 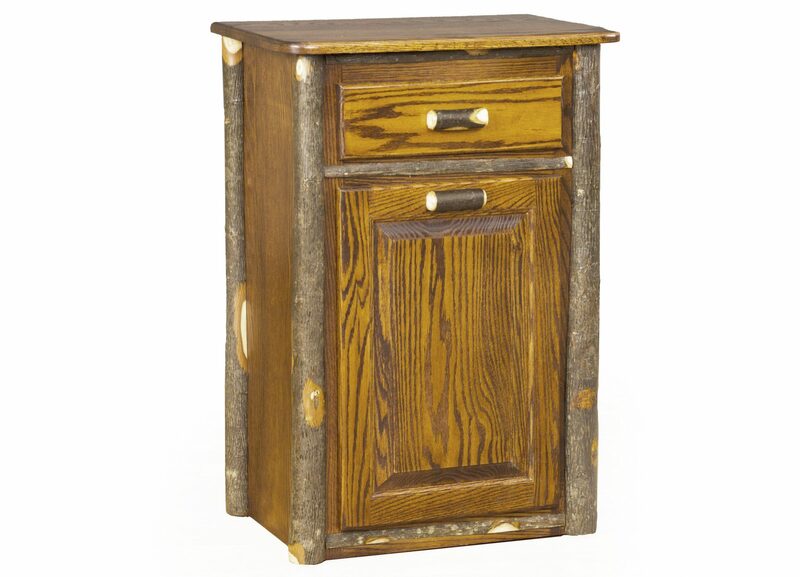 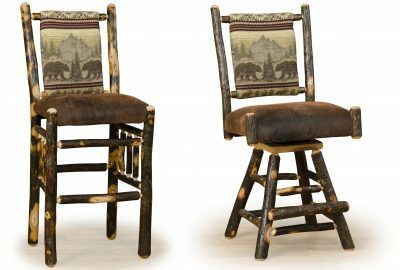 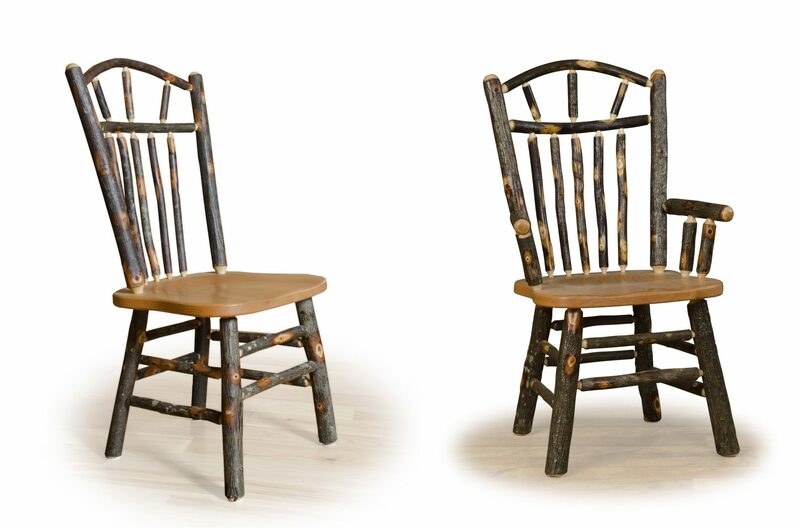 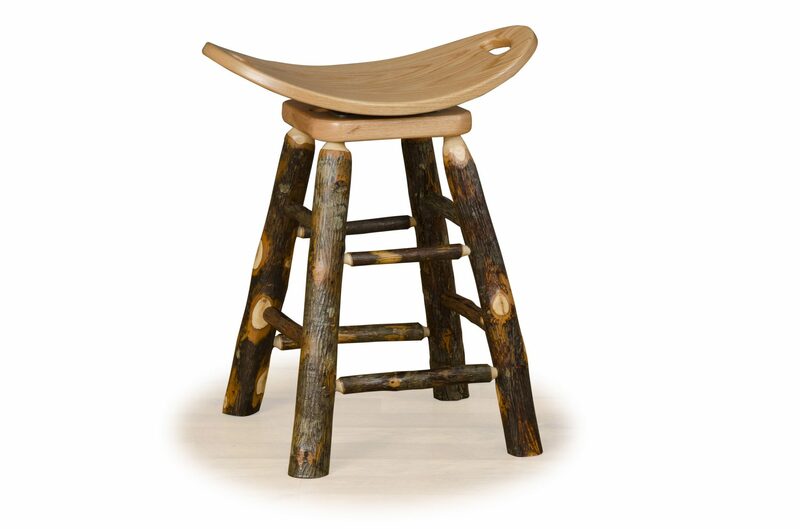 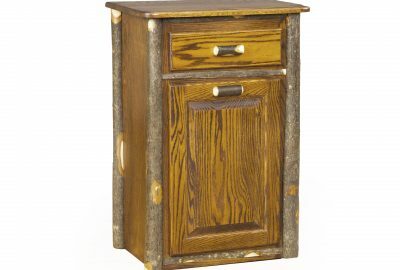 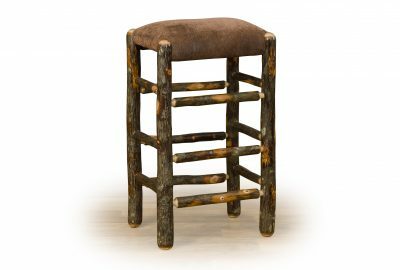 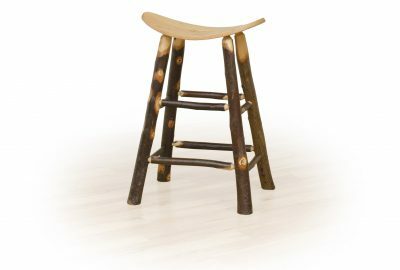 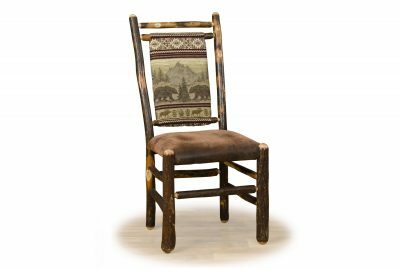 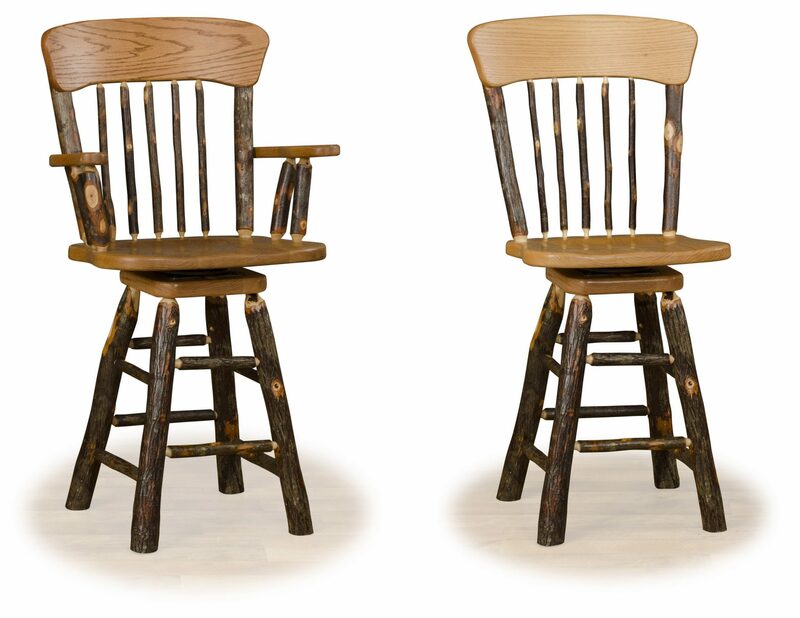 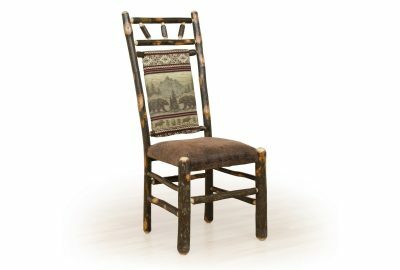 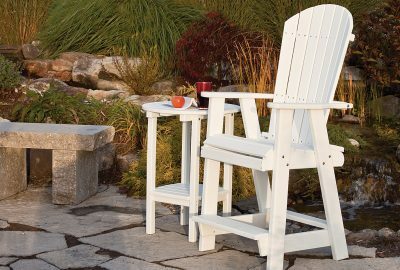 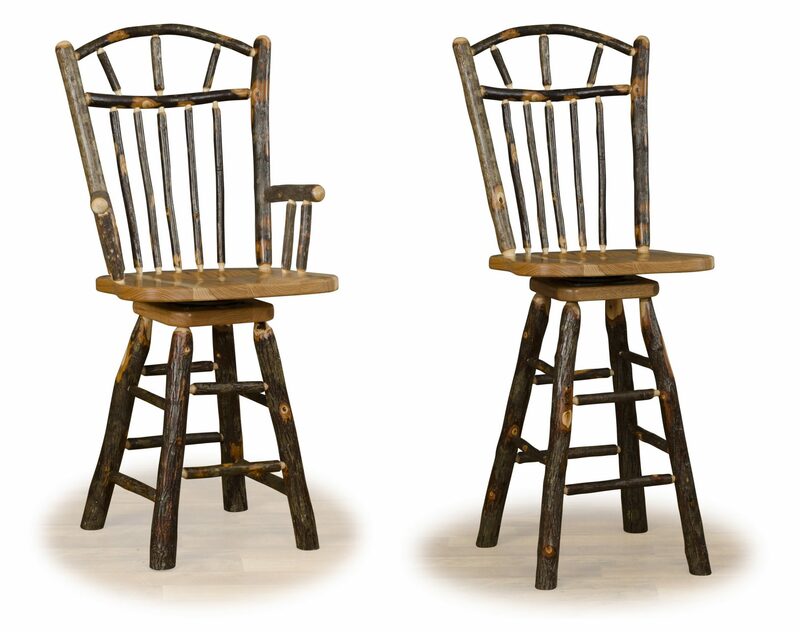 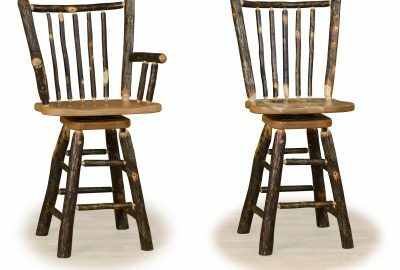 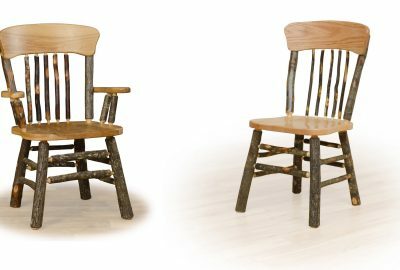 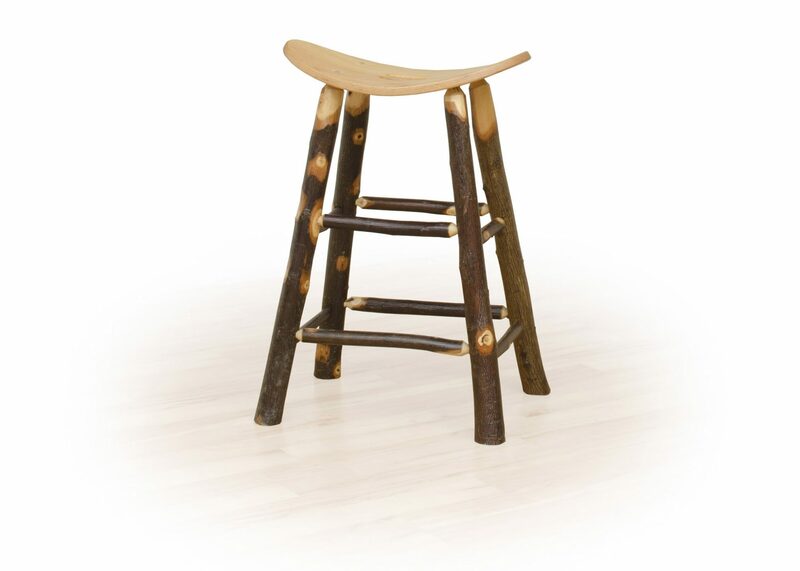 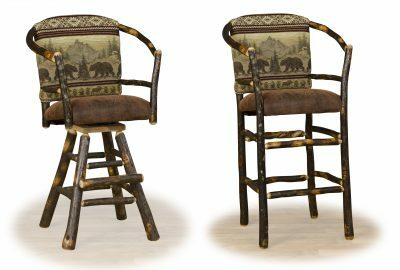 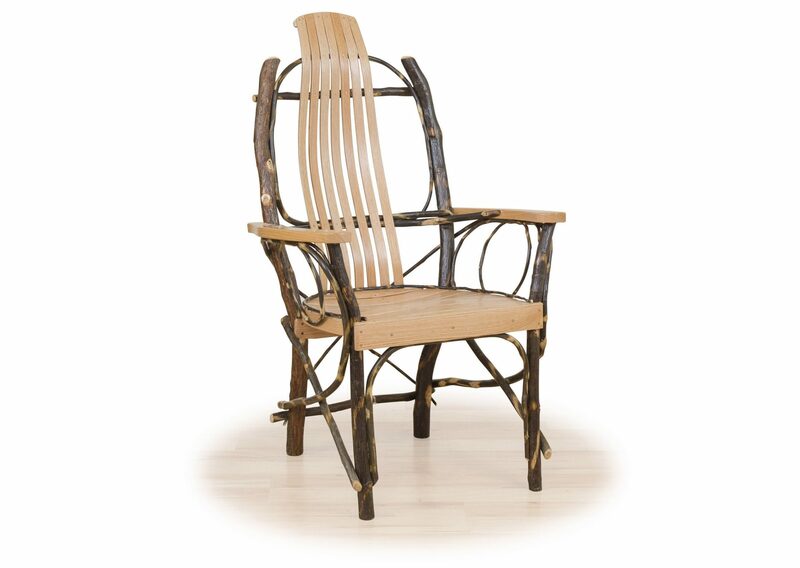 Start with a solid, attractive hickory table, then choose from a wide range of beautiful rustic cabin dining chairs. 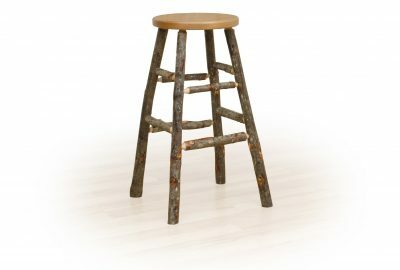 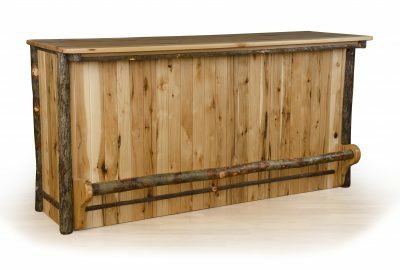 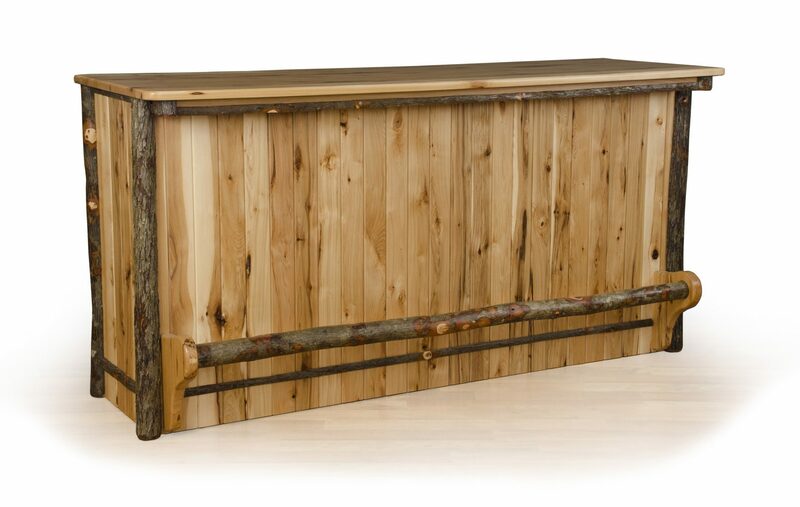 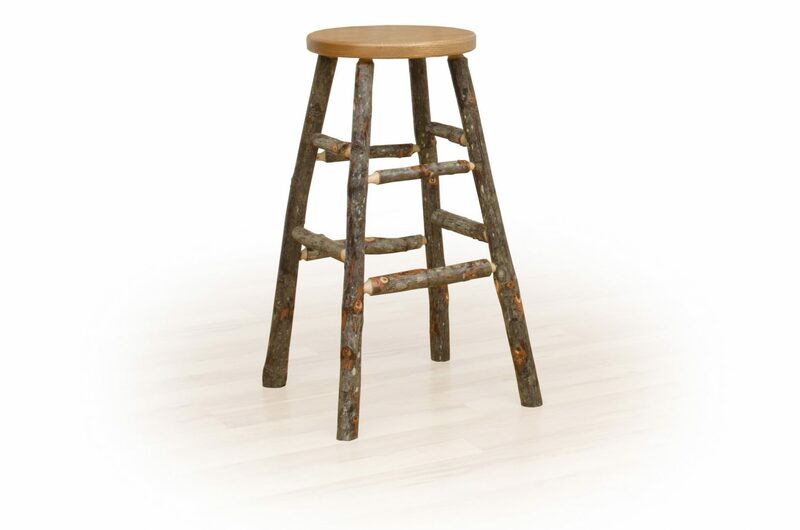 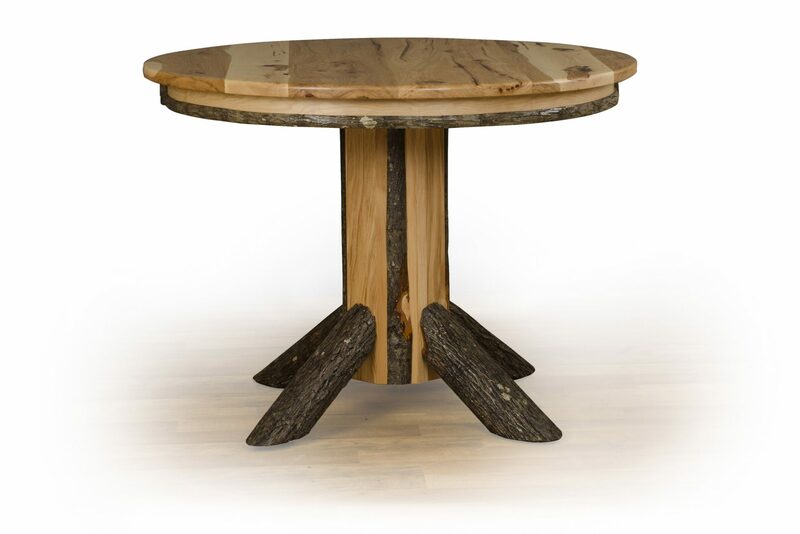 Conversations around a modern pub or bar height table will be like bringing the coffee shop right into your home. Create a beautiful dining room with this log cabin hickory dining room furniture and your house will become the gathering place.